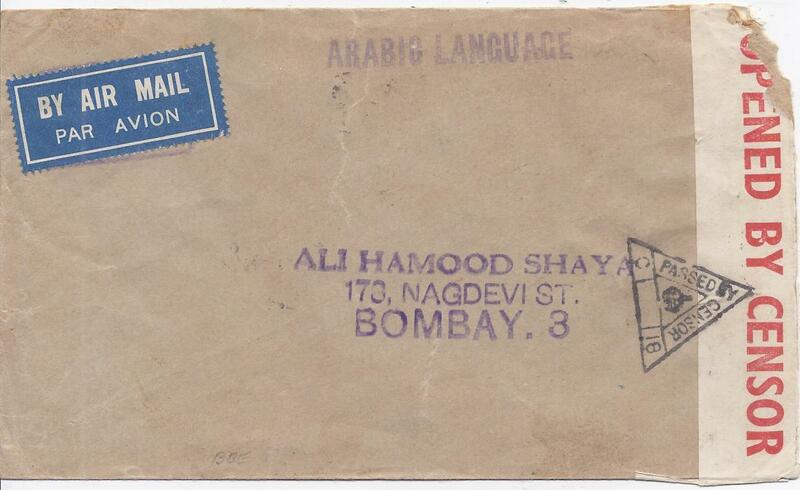 1941 (4 Sep) censored airmail cover to Bombay, franked on reverse at 2a 3p by 1939 2a vermillion in combination with India 1937-40 3p. slate, tied by individual strikes of temporary EXPERIMENTAL P.O./ K-79 CDS, WITH Bahrain transit cds alongside. Resealed by red on white censor label that is tied on front. Some slight faults to envelope, a rare usage with the temporary cds in use 10 June to 30 Sept �41 only. 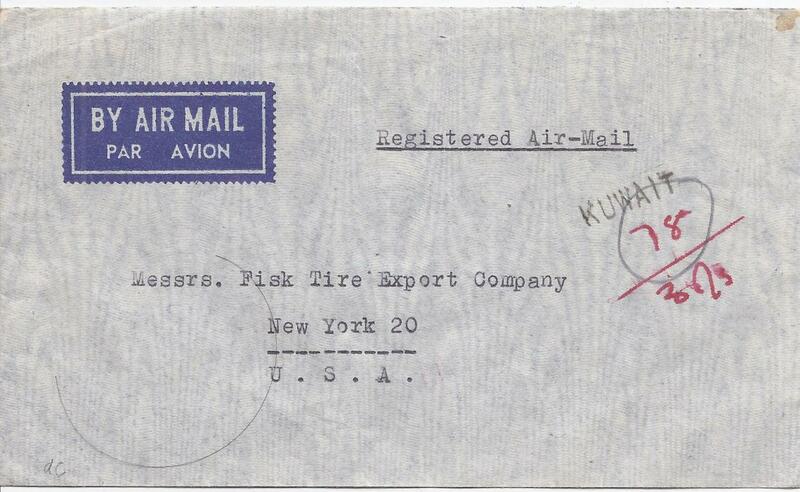 1946 registered airmail cover to New York franked on reverse India overprinted 2a. (2), 4a. (2) and 6a. (4) tied double-ring cds, Cairo transit and arrival cancels, the front showing small straight-line registration handstamp with red manuscript number; fine and clean condition. 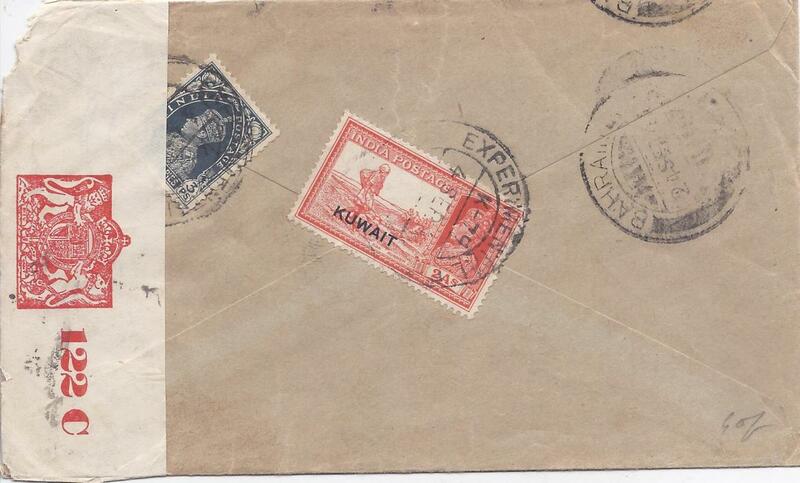 Unclearly dated 1940s commercial airmail cover to New York franked on reverse India overprinted �a. and pair 1r. 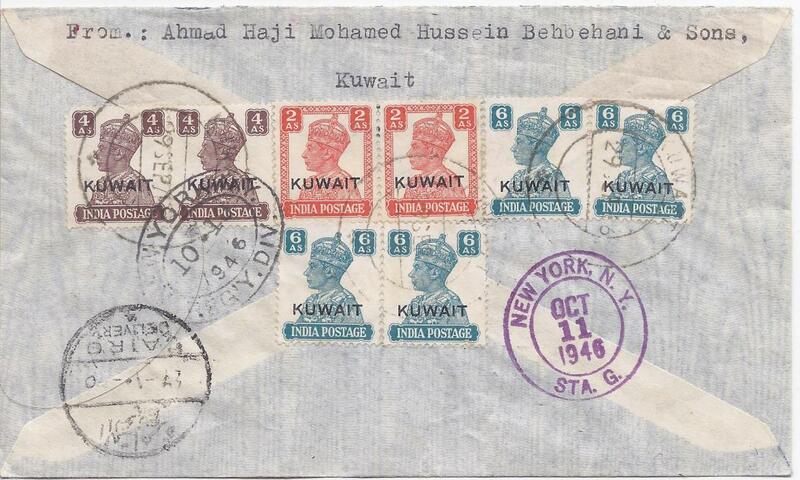 cancelled Kuwait wavy-line date stamp.